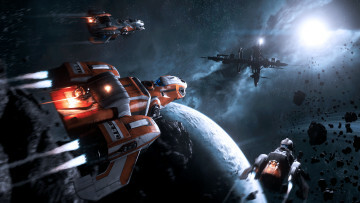 Chris Roberts’ Star Citizen continues to be in the making. Alpha 3.2.0 was brought live in July earlier this year, and now 3.3.0 is close to being in the hands of players willing to live with a few bugs. Today was the day-one of Cloud Imperium Games’ (CIG) once-a-year CitizenCon event, where it gave viewers and attendees a taste of what’s to come with Alpha 3.3.0 – or sort of. A lot of what’s shown in the demo (embedded above) is coming with 3.3.0, but there’s plenty that won’t make the cut. 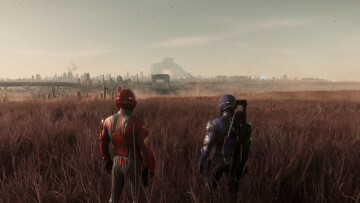 Hurston, the planet showcased in the demo, is the game’s first traversable planet, and it won’t be part of the 3.3.0 patch when it goes live sometime within the next two weeks. Instead, it will be showing up with an incremental patch. Although specifics aren’t very clear at the moment, that patch is scheduled to arrive before the end of year. CIG also released a trailer for its Squadron 42 single-player campaign today that is being developed alongside Star Citizen. Gary Oldman, Gillian Anderson, Mark Hamill, Andy Serkis, Mark Strong, Liam Cunningham, Rhona Mitra, and Ben Mendelsohn are some of the AAA-stars we get a glimpse of; Henry Cavill also makes a surprise appearance, as his involvement in the project wasn’t known until today. Cavill and Hamill have also posted on Instagram and Twitter in anticipation of the game. 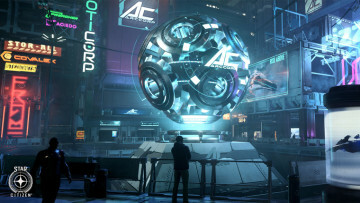 The Star Citizen project has accumulated a staggering $195 million as of today, and that number continues to grow. 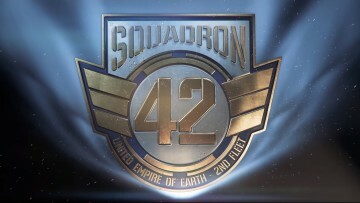 If you wish to support the development of the game, a $45 pledge gives you access to Star Citizen – the multiplayer universe – as it is being developed, while pledging $65 will bundle Squadron 42 as well, though that’s not available to play just yet.